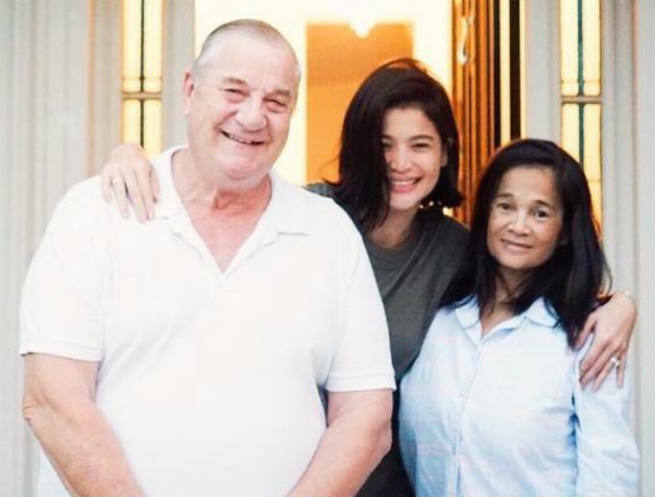 Showtime host and actress Anne Curtis-Smith Heussaff greeted her father on Instagram by uploading a cute throwback photo of the two of them. The actress was smiling from ear to ear as she wears an over-sized hat and checkered coat. According to Anne, “Anna Chlumsky from My Girl” was her fashion peg back then. “Happiest Birthday Father Dearest!! 75 but really a 16 year old boy at heart!” Anne said on her post. WATCH: How loving is Anne Curtis as a wife? Fans and followers of the actress can’t help but gushed over how cute little Anne Curtis was back then smiling with a middle gap tooth.